For Prelims and Mains: Rani Lakshmibai- related facts, overview of 1857 revolt and Doctrine of Lapse. Context: November 19 is the birth anniversary of Rani Lakshmibai. 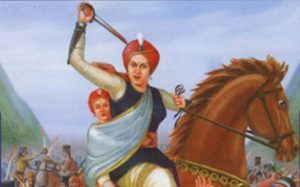 Rani Lakshmibai, one of the warriors of India’s struggle for Independence, was born as Manikarnika Tambe in 1828 in Varanasi. In 1842, Lakshmibai got married to Gangadhar Rao Newalkar, the Maharaja of Jhansi and got the name of Rani Lakshmibai. Few years after marriage, in 1851, Manikarnika gave birth to a boy but he couldn’t survive and died after four months. Then Lakshmibai and Gangadhar Rao adopted Rao’s cousin’s son, Anand Rao, who was later renamed as Damodar. Soon after they adopted Anand, Maharaja died due to an illness in 1853. Rani Lakshmibai was just 18 at that time. The East India Company took advantage of the Maharaja’s death and applied the Doctrine of Lapse. The British rulers did not accept little Damodar Rao, as the legal heir of late Maharaja Gangadhar Rao and Rani Lakshmi Bai. Their plan was to annex Jhansi on the ground that it did not have any legal heir. In March 1854, Rani of Jhansi was granted an annual pension of 60,000 and was ordered to leave the Jhansi fort. She was firm on the decision not to give up the dominion of Jhansi to the British. She died on June 17, 1958, martyring her life for India’s freedom. For Prelims and Mains: Difference between President’s Rule under Article 356 and Governor’s Rule in J&K, Special status for J&K under Article 370. Context: If the state assembly is not dissolved in two months, Jammu and Kashmir may come under President’s rule in January. Since J&K has a separate Constitution, Governor’s rule is imposed under Section 92 for six months after an approval by the President. In case the Assembly is not dissolved within six months, President’s rule under Article 356 is extended to the State. Governor’s rule expires in the State on January 19. Assume to himself all or any of the functions of the Government of the State and all or any of the powers vested in or exercisable by anybody or authority in the State. Make such incidental and consequential provisions as appear to the Governor to be necessary or desirable for giving effect to the objects of the Proclamation, including provisions for suspending in whole or in part the operation of any provision of this Constitution relating to anybody or authority in the State. Any such Proclamation may be revoked or varied by a subsequent Proclamation. Any such Proclamation whether varied under subsection (2) or not, shall except where it is a Proclamation revoking a previous Proclamation, cease to operate on the expiration of six months from the date on which it was first issued. If the Government or by a Proclamation under his section assumes, to himself any, of the powers of the Legislature to make his laws, any law made by him in the exercise of that power shall, subject to, the terms there of continue to have effect until two years have elapsed from the date on which the proclamation ceases to have effect, unless sooner. No Proclamation under this section shall, except where it is a Proclamation revoking a previous Proclamation, be laid before each House of the Legislature as soon as it is convened. What is President’s Rule in the Indian context? 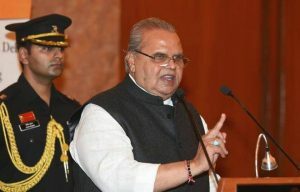 The imposition of Article 356 of the Constitution on a State following the failure of constitutional machinery is called President’s Rule in India. Once the President’s Rule has been imposed on a state, the elected state government will be temporarily dissolved, and the Governor, who is appointed by the government at the Centre, will replace the Chief Minister as the chief executive of the State. The imposition of the President’s rule requires the sanction of both the houses of Parliament. If approved, it can go on for a period of six months. However, the imposition cannot be extended for more than three years, and needs to be brought before the two houses every six months for approval. For Prelims and Mains: Transfats- what are they, uses, concerns and the need for reduction in their usage. Context: Kerala is planning to launch an initiative to enforce dietary guidelines, involving the reduction of trans fatty acids (TFAs), salt and sugar in commercially available foods in the State. Metabolic syndrome (MS) is a cluster of metabolic abnormalities — high blood pressure, high blood sugar, abdominal obesity, abnormal cholesterol or triglyceride levels — that occur together, raising risk of heart disease, stroke and diabetes. Why they are increasingly being used? WHO recommends that trans fat intake be limited to less than 1% of total energy intake and has called for the total elimination of TFAs in global food supply by 2023. FSSAI has proposed to limit TFA limit in foods to 2% and eliminate trans fats from foods by 2022. For Prelims and Mains: APEC- objectives, composition, challenges, significance and potential. 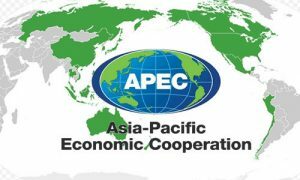 Context: The 2018 Apec summit was held recently held in Papua New Guinea. It ended with no joint statement from the leaders – a first in Apec history – and with the fight for dominance in the Pacific region between Australia, the US and Japan on one side and China on the other, coming out into the open. Aim: to create greater prosperity for the people of the region by promoting balanced, inclusive, sustainable, innovative and secure growth and by accelerating regional economic integration. APEC works to help all residents of the Asia-Pacific participate in the growing economy. APEC projects provide digital skills training for rural communities and help indigenous women export their products abroad. Recognizing the impacts of climate change, APEC members also implement initiatives to increase energy efficiency and promote sustainable management of forest and marine resources. The forum adapts to allow members to deal with important new challenges to the region’s economic well-being. This includes ensuring disaster resilience, planning for pandemics, and addressing terrorism. 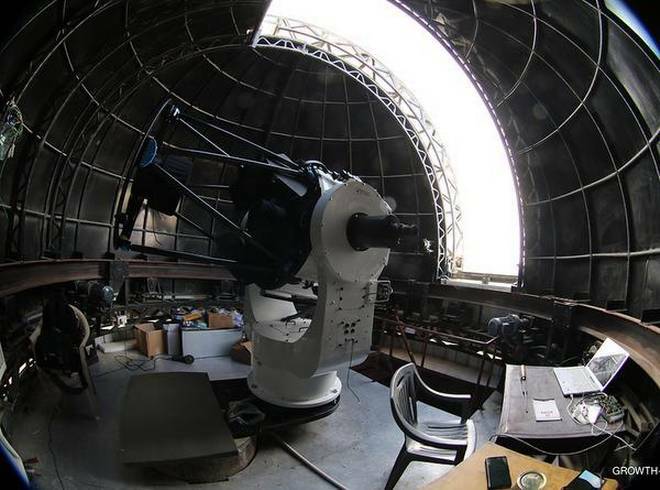 For Prelims and Mains: GROWTH-India telescope- objectives, functioning and its significance. Context: The 0.7 m GROWTH-India telescope at the Indian Astronomical Observatory located in Hanle, Ladakh, has made its first science observation which is a follow-up study of a nova explosion. Universities and research institutes from the US, the UK, Japan, India, Germany, Taiwan and Israel are part of the initiative. Novae are explosive events involving violent eruptions on the surface of white dwarf stars, leading to temporary increase in brightness of the star. Unlike a supernova, the star does not go on to die but returns to its earlier state after the explosion. Topic: Various Security forces and agencies and their mandate. For Prelims and Mains: CBI- Establishment, its functioning, issues related to its autonomy and need for consent in investigations. Context: The Andhra Pradesh and West Bengal governments have withdrawn “general consent” to the CBI for investigating cases in their respective states. The state governments said they had lost faith in the CBI in the backdrop of its internal turmoil marked by the open war among the agency’s top officers. They have also alleged that the Centre is using the CBI to unfairly target Opposition parties. Unlike the National Investigation Agency (NIA), which is governed by its own NIA Act and has jurisdiction across the country, the CBI is governed by the Delhi Special Police Establishment Act that makes consent of a state government mandatory for conducting investigation in that state. “General consent” is normally given to help the CBI seamlessly conduct its investigation into cases of corruption against central government employees in the concerned state. Almost all states have given such consent. Otherwise, the CBI would require consent in every case. It means the CBI will not be able to register any fresh case involving a central government official or a private person stationed in these two states without getting case-specific consent. Withdrawal of consent simply means that CBI officers will lose all powers of a police officer as soon as they enter the state unless the state government has allowed them. What happens in fresh cases? An October 11, 2018, order of the Delhi High Court makes it clear that the agency can probe anyone in a state that has withdrawn “general consent” if the case is not registered in that state. The order was given with regard to a case of corruption in Chhattisgarh, which also gives consent on a case-to-case basis. The court ordered that the CBI could probe the case without prior consent of the Chhattisgarh government since it was registered in Delhi. 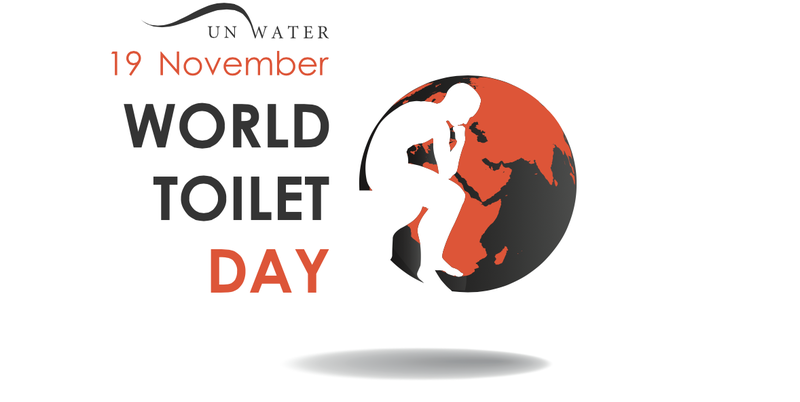 Context: In 2013, the United Nations General Assembly officially designated November 19 as World Toilet Day. 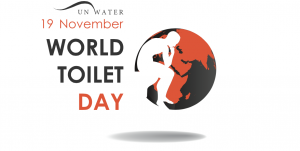 World Toilet Day is coordinated by UN-Water in collaboration with governments and partners. Previously, World Toilet Day was established by the World Toilet Organization in 2001. World Toilet Day is a day to raise awareness and inspire action to tackle the global sanitation crisis – a topic often neglected and shrouded in taboos. India’s first specialized hospital for elephants has been formally opened in Mathura. The unique medical centre offers wireless digital X-ray, laser treatment, dental X-ray, thermal imaging, ultrasonography, hydrotherapy and quarantine facilities. 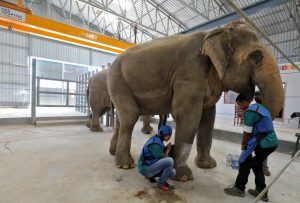 Located close to the elephant conservation and care centre, the hospital is designed to treat injured, sick or geriatric elephants and is equipped with a medical hoist for lifting elephants, as also an elephant restraining device with a dedicated indoor treatment enclosure for long duration medical procedures. Punjab has become the third state in the country after Maharashtra and Gujarat to ban hookah bars or lounges. President Ram Nath Kovind has given his assent to Cigarettes and other Tobacco Products (Prohibition of Advertisement and Regulation of Trade and Commerce, Production, Supply and Distribution) (Punjab Amendment) Bill, 2018. The objective of this law is to check use of tobacco in various forms and prevent diseases caused by use of the tobacco products. Next story INSIGHTS MINDMAPS: “Significance of ASEAN for India”.